You’re at the pediatrician’s for your annual check-up when you get the dreaded news. You have to get a shot. No one likes to get shots and they do hurt a little, but there’s a good reason for them. Before immunizations, infectious diseases were serious business. 10,000 children died every year of diphtheria. Polio paralyzed or killed thousands of children. Smallpox, a disease that’s been around for over 10,000 years killed over 400 million people in the 20th century alone before it was finally eradicated (gotten rid of). Immunizations have changed everything. When you get a shot, tiny, weak bits of a specific virus are injected into your body. Your body produces antibodies to fight the virus. Think of antibodies as your body’s defense system – tiny soldiers coming to the rescue. The more antibodies you make, the stronger those soldiers become. So strong, in fact, that if you’re ever exposed to the real virus, you probably won’t get sick. You’ve become immune. If you do get sick, you’ll have a much milder case of the illness. 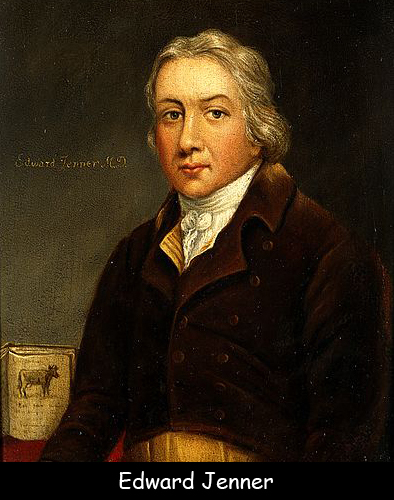 In 1796, Edward Jenner made the first vaccination. He noticed that dairy maids taking care of cows rarely got smallpox. They had already been sick with a much milder, related disease, cowpox. He wondered if there was a connection. To test his theory, he scratched an 8-year-old boy, James Phipps, with pus (gross) from a cowpox sore. Later, he did the same experiment on the boy, this time using material from a smallpox sore. The boy never got smallpox, confirming Jenner’s theory. In 1885, Louis Pasteur invented a vaccine for rabies. In the mid-20th century, Jonas Salk, MD, and Albert Sabin, MD, created a vaccine for polio. Question: Why can’t I swallow vaccination medicine instead of getting a shot? Answer: Some vaccines can be taken orally, but most must be injected. When you take a medicine by mouth, the medicine enters your stomach first. Acids in the stomach can change the medicine. Injecting medicine directly into your blood stream is usually better. Listen to a quick podcast to learn more about vaccines. Declan, Tobin. " Immunization Facts for Kids ." Easy Science for Kids, Apr 2019. Web. 26 Apr 2019. < https://easyscienceforkids.com/immunizations/ >.